The heat is on, stress from what is seen and unseen. Sometimes I don't even know why I'm stressed. I realize later it's because of resistance. Sin. If God is dealing with me on something and I'm not ready to deal with it or admit to it..because I'm prideful, then my soul gets stressed. It begs me to open my eyes and heart to hear what He has to say. I don't want to admit I'm wrong, especially when I've been wounded but He says do it anyways. I want to be like this tree planted in God, so that when trials come my way my roots are so deeply planted that I have nothing to fear because I am safe. I imagine standing firm and tall while a hurricane sweeps around me, but in the eye of the storm there is calm, and there, not even a strand of hair is moved out of place. Though storms come and threaten to take my peace I can choose not to worry and choose peace instead. This way I will bear fruit. My life will point to God and people will say only God could have done that! Amen!! This struck many chords with me this morning!! Love this post!! !YOuare such a blessing, thanks for sharing!! Thanks Stacey, you are too!! Thanks Mindy, it's remembering when things get stressful, we don't have to depend on our own strength to get through it. Thanks for stopping over! Beautiful! 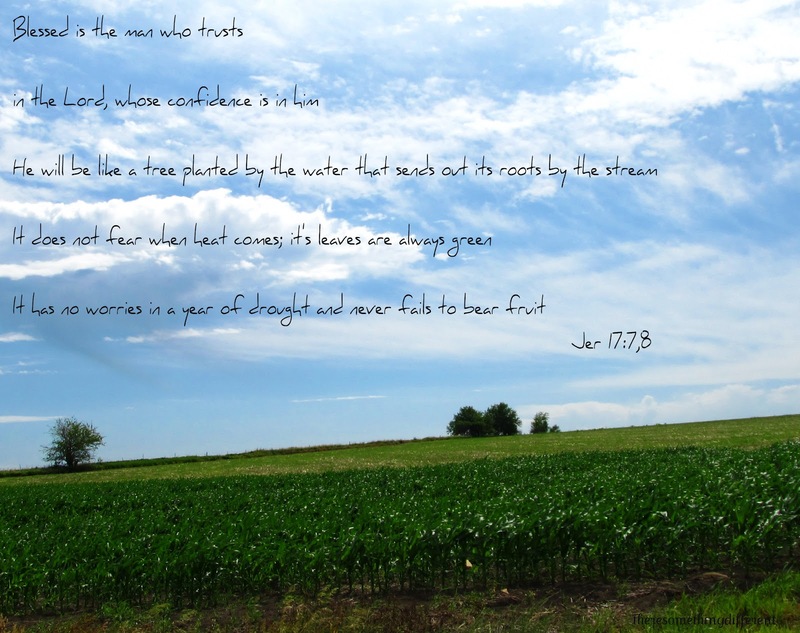 I have been thinking a lot about the fruit we/I bear (for my next (in)courage post). I love how you ended your post... "My life will point to God and people will say only God could have done that!" YES! Thank you Jennifer, I hope that people can look at my life and how I live it and that they will see Christ there..it's what I strive for at least... falling short most days, but thankful for each new day to try again. beautiful!! it is these words i cling to in the midst of my storm!! Thank you Kerri, I'm praying for you.